Vivo’s upcoming mid-range smartphone, the V15 Pro, is eagerly anticipated by fans in the Indian market. Thanks to recent leaks and reports we have quite a good idea as what to expect from the notch-less phone. Now, tipster Ishan Agarwal has shared official press renders of the Vivo V15 Pro ahead of its February 20th launch, we know exactly what it will look like. These leaks are in line with previous renders that 91mobiles exclusively leaked. 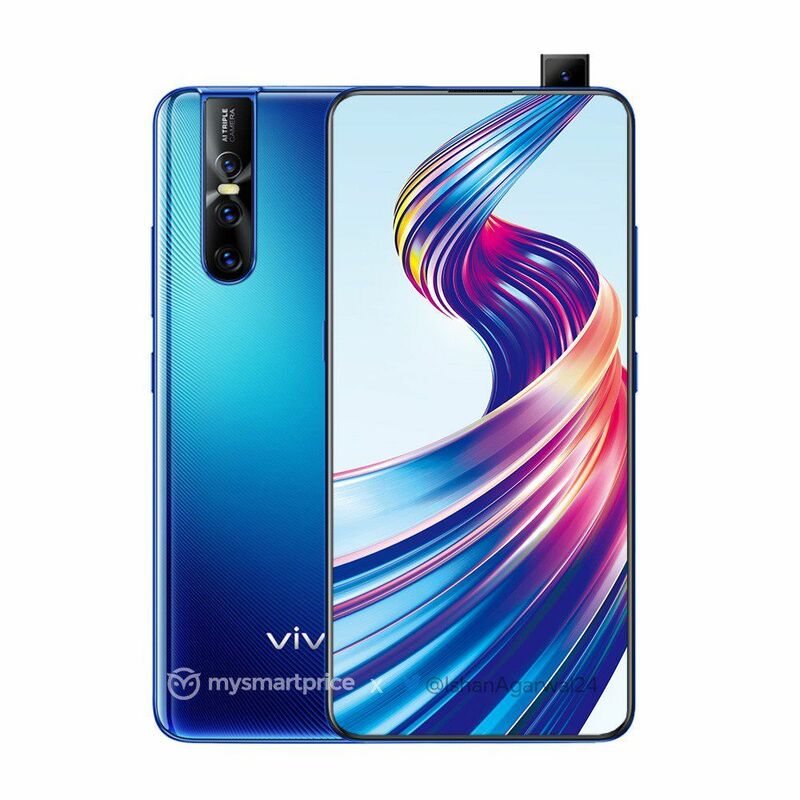 Of course, live images and the Amazon India listing of Vivo V15 Pro have previously revealed the handset’s design too. 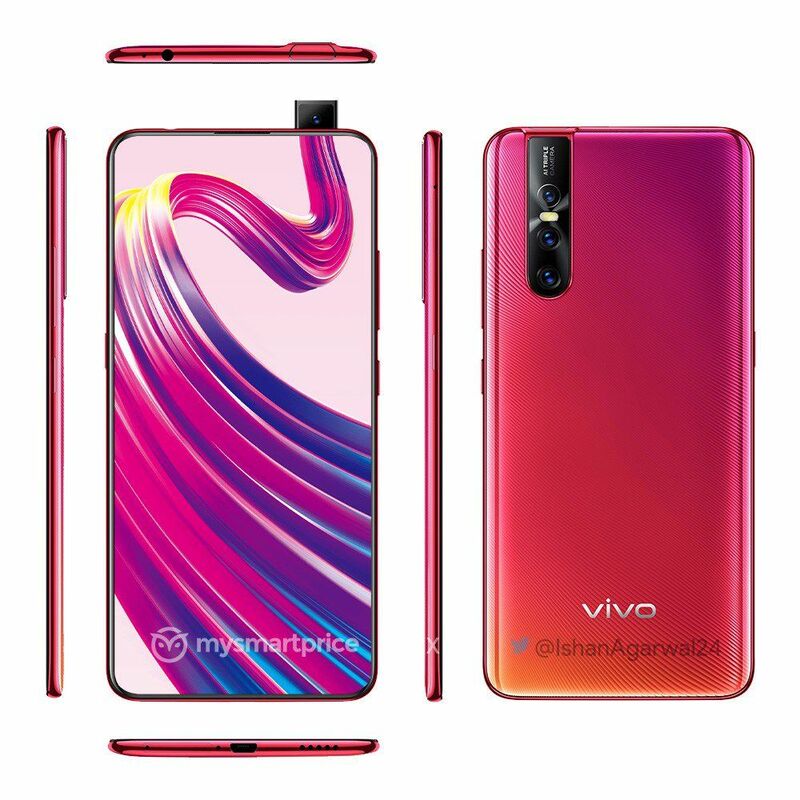 The triple-rear camera setup as mentioned by earlier leaks is visible in the new renders, as is the pop-up front camera module on the top-right side. However the most striking thing to note here is the absence of a chin at the bottom of the display. 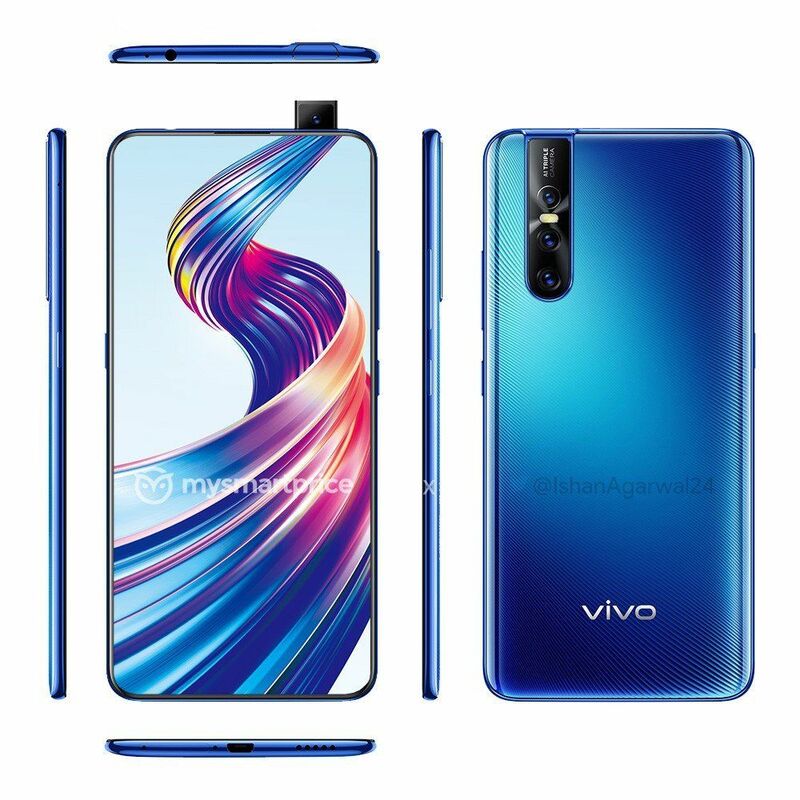 By the looks of it, Vivo V15 Pro will be completely bezel less from top to bottom and feature an in-display fingerprint, similar to its predecessor. The speakers and microUSB port at the bottom can be seen at the bottom, while the 3.5mm earphone jack is noticeable on the top. 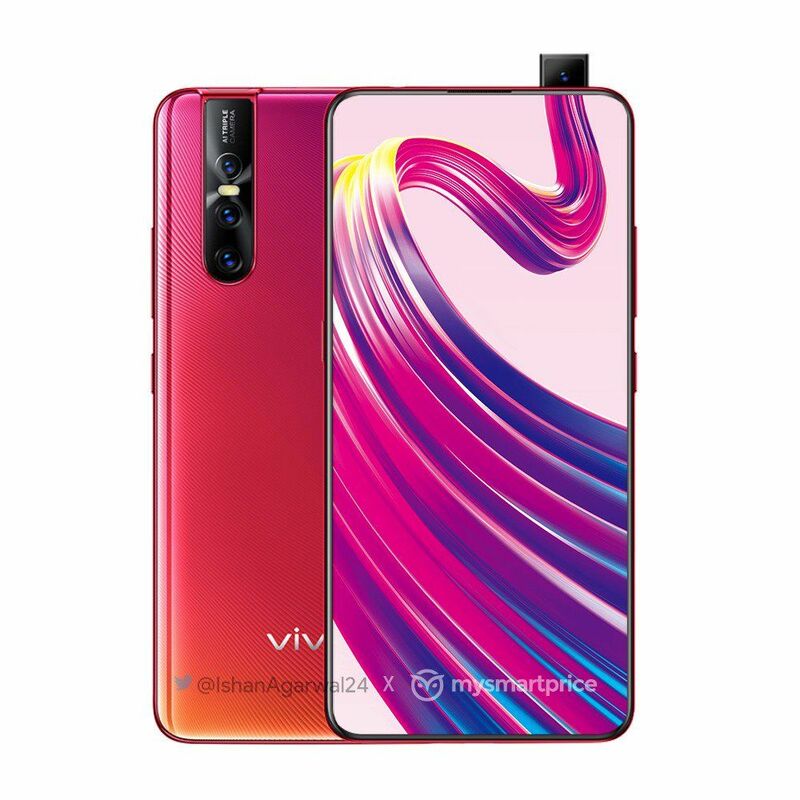 According to reports, the Vivo V15 Pro will have a 6.39-inch Super AMOLED Ultra FullView display with 1,080 x 2,340 full-HD+ resolution and 19.5:9 aspect ratio. The smartphone is further said to be powered by the Qualcomm Snapdragon 675 11nm octa-core processor clocked at up to 2GHz, with the Adreno 612 GPU for handling graphics needs. Only the 6GB+128GB RAM and storage version is said to be available in the Indian market. Coming to much talked about camera department on V15 Pro will apparently sport a 48MP + 8MP + 5MP triple-camera setup at the back with LED flash and support for 4K video recording. The pop-up module on the front will house a 32MP sensor. The smartphone is said to ship running Android 9 pie out of the box and will be powered by a 3,700mAh battery.